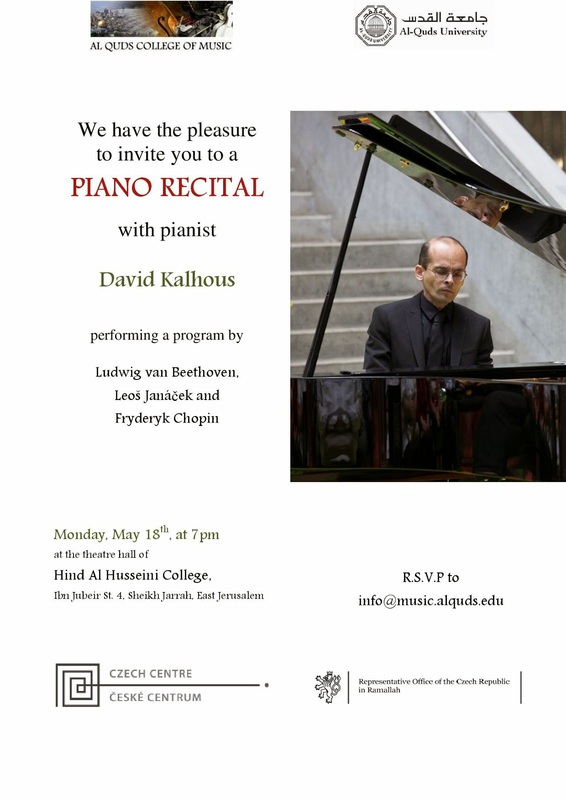 Al-Quds College of Music: DAVID KALHOUS VISITS AL QUDS! DAVID KALHOUS VISITS AL QUDS! David Kalhous will visit us from Los Angeles for workshops and a concert in May! The renowned Czech pianist has gained recognition in the United States and Europe for his wide-ranging repertoire and adventurous programming spanning more than three centuries. His stay in Jerusalem has been made possible thanks to the generous support of the Czech Center and the Czech Representative Office in Ramallah. Join us for his concert on May 18th!